On 24th August 2009, a whole centre spread was dedicated to our Hamster Club in a very popular newspaper named 'The Malta Independent'. Article was written by Chiara Bonello. 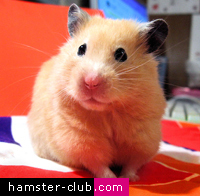 This article incorporates an overview about Hamster Club Malta, details about acquiring a hamster, how to look after a hamster and a short overview about 'Hamster Club Guide Book'. Below you may find the article (with pictures), featured in 'The Malta Independent', but you may also read it by clicking here. A dog looks like too much work? Fish not your idea of a pet? What about a hamster? 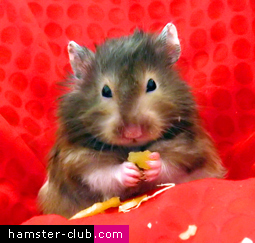 The Hamster Club aims to put this cuddly and overlooked pet back on people's pet wish lists. 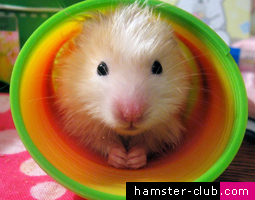 This online club, set up by five hamster lovers in October 2007, aims to encourage people to adopt hamsters, give advice on natural remedies and share information on the furry creature's behaviour and habits. Very often pet shops house hamsters in one wire cage, as they wait for people to ooh and aah over them, and hopefully decide to give one of them a home. It is not common knowledge, however, that hamsters should not be housed together, especially if they are of different breeds. It is only the Dwarf hamster, pictured which can be housed in groups. The club members have specific tasks, ranging from website updates and answering emails to attending foreign exhibitions. 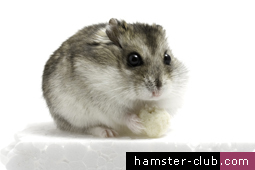 The club website, www.hamster-club.com, receives around 600 hits daily, and the club receives emails from all over the world. A monthly newsletter is sent out to all subscribers. The monthly newsletters include competitions for the best photos, wallpapers, drawings and poems. The chosen ones are put up on the Visitors' Creativity section of the site. These are popular with the majority of club members, who tend to be children. Adult members can send in any questions and recommendations. As things stand, it is not financially feasible for the club to open an actual club in Malta. Visitors are limited to subscribing online, as renting premises would be expensive. Although the club is looking into this, chances are the idea will be abandoned. Due to conflicting timetables and the fact that more than anything else, the club is a hobby for its founders, meetings are mostly held online. They are held once every two months, but the team is in regular contact via email and online chatting. The club has thousands of subscribers worldwide, and approximately 70 of them are Maltese. The club holds online activities, and attendance for these is very high. Most of the club's promotion comes from newspapers and magazines. Hamsters are ideal pets as they are friendly, cuddly and easy to tame, they take up little space and are inexpensive, both to buy and to keep. One can buy a hamster for as little as e2.50. It takes time for a hamster to trust a new owner, but they can be won over by patience and treats. It is important not to disturb a hamster when it is asleep as you run the risk of making it sick. 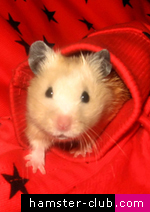 The most common hamster is the Syrian hamster, pictured, as this is one of the friendliest breeds. They are the most commonly found in pet stores too. The least common are the Chinese hamster and Campbell's hamster. 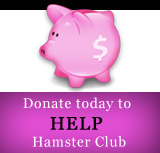 The club promotes adopting a hamster, rather than going through the usual channels of a pet store or breeder. The club will suggest adoptions and liaise between the owner and the person looking to adopt, until the procedure is finalised. Anyone looking for a specific breed or colour, however, is advised to look to a breeder. When it comes to housing, the most common option is the normal wire cage, however this is no good for Dwarf or Roborovski hamsters, as these may escape through the bars. Plastic cages, glass containers and aquariums are better for these. The cage should be located in a quiet, draught free place. A draughty location may result in the hamster catching a cold. They can also catch colds if washed or put in contact with humans who have a cold. Hamsters can suffer from a number of other ailments, including wet tail, bladder stones and diabetes. A basic cage should be equipped with nesting material, a food tray and a drinking bottle and a hamster wheel. The cage can then be equipped with a number of other optional gadgets. The ideal diet for a hamster would be one that is varied including seeds and grains, as well as fruit and vegetables in moderation. The hamster should also have fresh water daily. The website is laden with information, for anyone wishing to know more. The lack of a book about hamsters in local pet stores pushed the club to publish its own. No profit is made from their book, which sells at the bargain price of 4.99 Euros. 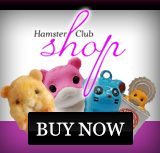 It is the ideal reference point for hamster lovers of all ages.